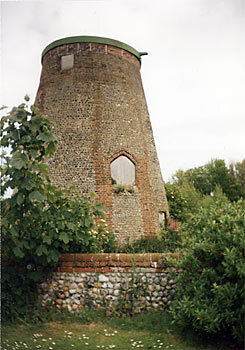 Blakeney towermill stood at Friarage Farm just to the east of the village and was built of brick and flint, its 32ft tower being 4 storeys high. 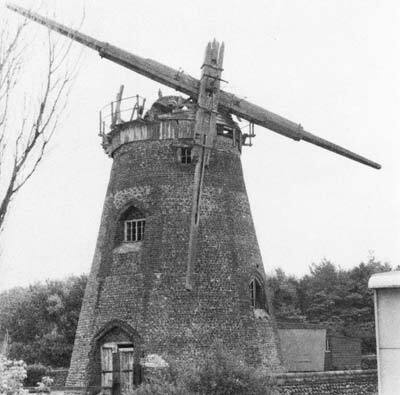 The mill would originally have been fitted with common sails and a tailpole to drive 2 pairs of stones. The gothic doors and windows were probably put in during reconstruction in the 1800s when the 4 patent double shuttered sails were installed. These were struck by rack & pinion via a chain pole and drove 3 pairs of stones. One pair of sails had 7 bays of 3 shutters and the other pair had 8 bays of 3 shutters. The dome shaped cap with a finial was horizontally boarded with a 16 sided petticoat and had a gallery and an 8 bladed fan. The spur gear was made of solid wood. 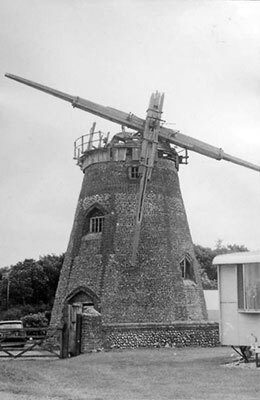 In 1982 Harry Apling described Blakeney towermill as the oldest tower corn windmill standing in Norfolk. 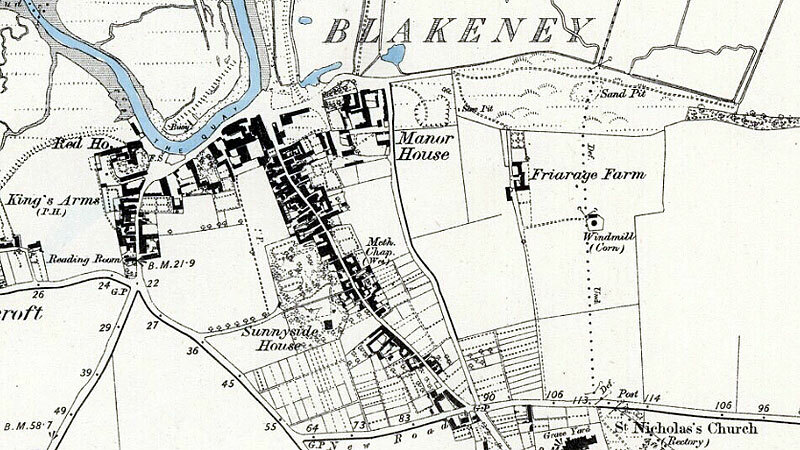 The Blakeney - Wiveton parish boundary runs north to south through Friarage Farm. 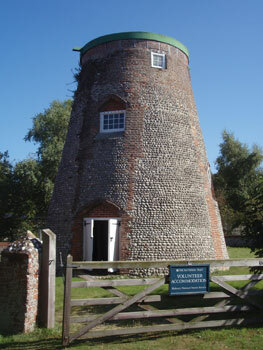 The farmhouse was also the mill house and stood in Blakeney, while the mill was built just within the Wiveton side of the border. Tower of flint & brick. Windows moulded red brick. Gothic. Wallower, solid wood, a trundle wheel, 4ft. 10ins. diameter. Upright shaft a "graft" shaft of wood & iron with a 3-jaw dog clutch. Great spur wheel all wood, smallest wooden one seen, 7ft. 3ins. Cogs pinned with wooden pegs. Stones:- Had Peak runner on French burr bedstone. Tower about 32 ft. high to curb. Four floors. 27 ft. 6 ins. diameter at base, wall 2 ft. 6 ins thick. Coursed flint cobbles with brick quoining to ‘Gothic’ doors and windows. Flints to above 2nd floor windows, remainder brick. Two double doors north-west and south-east in brick ‘Gothic' arches. Square windows (later) north and south. All wood clasp arm (?) great spur wheel, diameter 7ft., … cogs on … in. square wooden upright shaft. ‘Gothic’ arched windows east and west. Ahead of ladder, 1 pair Peak runner, 4 ft. 6 ins. Diameter. Runner stone 12 ins. thick. Further left, 1 pair French burr stones, 4 ft. 2 ins. diam. Wooden upright shaft 16 sided. 4 ft. 6 in. wooden crown wheel with iron ring of cogs underneath … cogs, drove sack hoist via lay shaft to east. All iron pinion with … cogs left out of gear. Wooden lever for engaging. 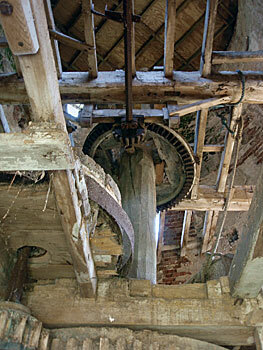 Lay shaft to north with wooden pulley, driven from crown wheel by another all iron pinion, … cogs. ‘Gothic’ windows south-east and north-east. Square windows north and south in later brickwork. Canisters, inside, 14 ins. long 10 ½ ins. wide. For further Particulars apply to Mr. Francis Narbrough or to Mr. John Mitchell of Weybourn in the county of Norfolk. N.B. It is convenient either for a single or married Man & well situated for Trade both at home & abroad, it being a Sea port Town. 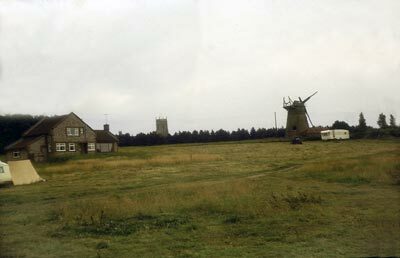 At the sign of the Feathers in Holt in the county of Norfolk A FARM at Blakeney, otherwise Snitterly, in the said County, consisting of a Farm House & convenient Outhouses with several Inclosures of Land to the same adjoining, with several Pieces of Field Land, containing together by Estimation Fifty Four Acres, more or less, with a good Tower Wind Mill standing in one of the Inclosures near the Farm House, lett at the Yearly Rent of Seventy Pounds. Also a Baking Office in Blakeney aforesaid, lett at Twelve Pounds per Annum. 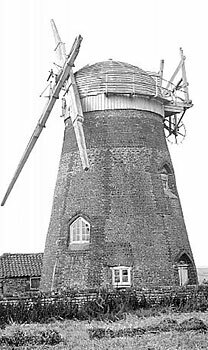 For further particulars Enquire of Mr. Francis Narbrough at Wiveton near Blakeney or of Mr. G. Hunt Holley at Aylsham in the said county. 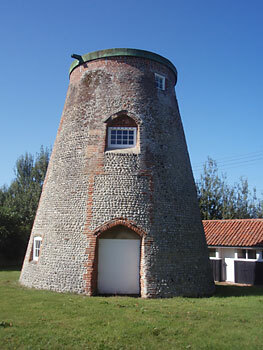 To be SOLD, a FARM at Blakeney otherwise Snetterly in the county of Norfolk, consisting of a Farm house & convenient Outbuildings with several Inclosures of Land to the same adjoining, with several Pieces of Field Land containing together by Estimation fifty four Acres (more or less) with a good Tower Wind-Mill standing in one of the Inclosures near the Farm house, lett at the yearly Rent of Seventy Pounds. Also a Baking Office in Blakeney aforesaid, lett at £12 per ann. For further Particulars enquire of Mr. Christopher Brettingham of Blakeney aforesaid or Mr. George Hunt Holley at Aylsham in the said county. 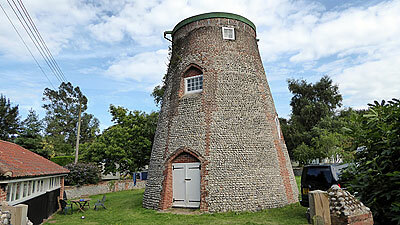 Also a Brick Tower Wind Mill with the sails & going gears in the occupation of Mr. Mash. These premises have a right of commonage in the common of Blakeney which they adjoin & Possession will be given at Michaelmas next. Daniel Easter of Castle Rising married Mary Dix of Salthouse at Salthouse on 22nd November 1803. 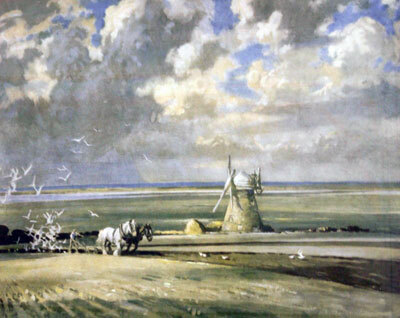 Daniel subsequently became miller at Blakeney. Daniel and Mary Easter had their daughter Mary Ann baptised on Christmas Day, 25th December 1814 at, St. Nicholas' church, Blakeney. Thomas Drosier of Blakeney, Miller, dealer & chapman. To surrender 5 February next. Commission of Bankrupt dated 17 January 1827. “Found drowned & washed ashore by the tide, but how & by what means she came into the water there was no evidence to show”. Saturday 16th aged 81. Born 1831. Now in perfect order & has had about £400 spent on it during the last twenty years. 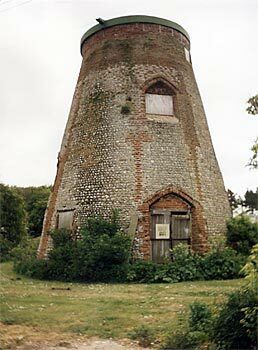 It is now proposed to remove all the sails & machinery & transform it into a residential house. 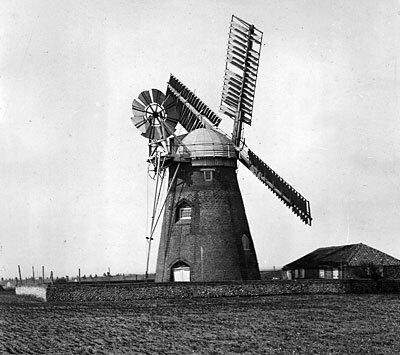 After milling ceased in 1912, the mill lay derelict with its machinery mostly intact. 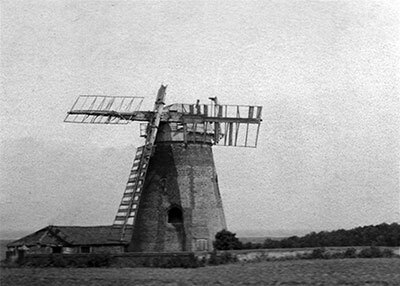 However, by 1980 the machinery had been removed and the mill capped pending possible later restoration. Later this summer we will be constructing the temporary cap. The remains of the cap and upper section of the upright shaft will be craned off and the new cap lifted into place. 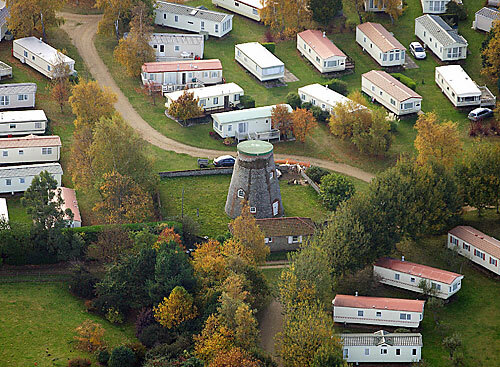 Friary Farm, Blakeney, together with its caravan site, will become the property of the National Trust after the death of the present owner, Mr. Ronald Williams, it was decided in the High Court London yesterday. Mr. Williams, who inherited the farm on the death of his wife Vera in 1977, had asked Mr. Justice Warner to rule invalid her October, 1975, will which left the property to him for his lifetime and thereafter to the National Trust. He sought probate for a July, 1975, will which left him the property absolutely. He claimed that the later will was not properly executed. Mr. Williams was "hostile" to the idea of the National Trust inheriting Friary Farm said the judge. But were insufficiaent grounds for invalidating the later will. The late owner of Friary Farm, Mrs. Vera Williams, the wife of Capt. Ronald James Basil Williams, made two wills before she died in 1977. In the first will of July 1975 she left the property to her husband absolutely. 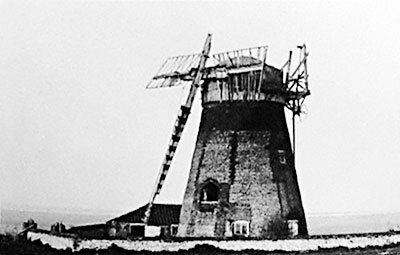 However, in the second will of October 1975 it was left to him only as life-tenant, to pass to the National Trust for Places of Historic Interest or Natural Beauty on his death. In May 1982 Mr. Williams disputed the validity of the execution of the second will in the High Court in London, but the judge said that there were insufficient grounds for invalidating it. Capt. Ronald Williams died 6 January 1983. 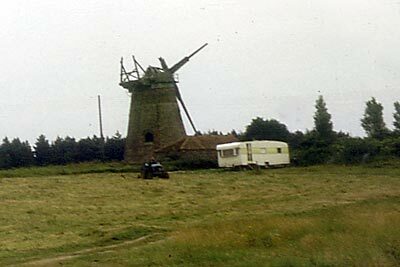 Therefore, when the legal Assent has been obtained later this year (the time of writing June 1983) the property, Friary Farm with the mill and caravan site will be vested in the National Trust. The Blakeney parish registers provide the name of a miller, Daniel EASTER in 1814. This appears the only baptism in this family where the father's occupation is given. Information from other transcriptions shows that Daniel EASTER of Castle Rising had married Mary DIX of Salthouse, at Salthouse, on 22 November 1803, both being single. Daniel EASTO was a 69 year old Ju (?) miller in the 1851 census ( HO107/1810 F58 3 ) recorded as a single man, lodging at the home of John FOX, in Lamas with Hautbois. His birthplace was shown as Salters (Salthouse I presume). 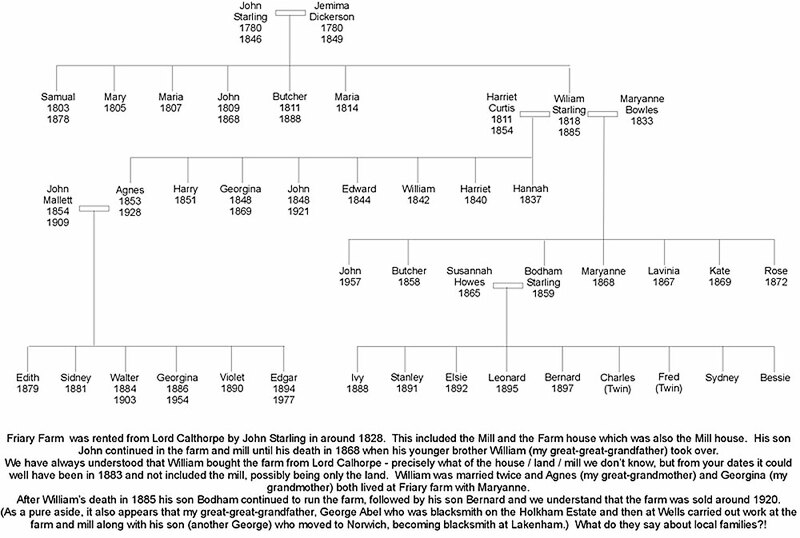 However it is most likely that he is the Daniel ESTOE baptised at Weybourne c1783, the son of John ESTOE and Amy (nee EMERY) According to transcripts the family appears in Weybourne registers as ESTHER, ESTERS, ESTOE, ESTER and EASTER. 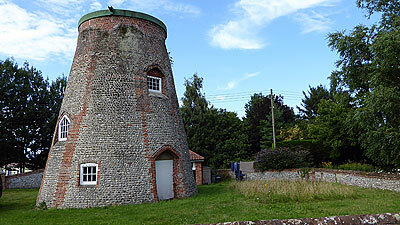 Wiveton Tithe Award 1842: Mill and yard - owner: Lord Calthorpe; Occupier: S. Starling.